It is important to try and get your children to feel confident in the water, and you should encourage them to swim as it is a fantastic activity and also a terrific form of exercise. 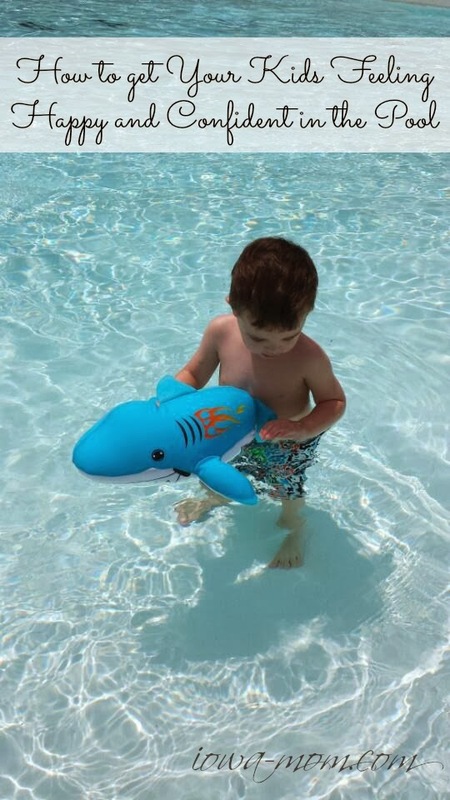 Learning to swim can be a slow experience though, and the smallest thing could knock their confidence and set them back, so you will want to look for ways to help them feel safe and able to splash around and have some fun. One of the most important things to remember is not to pressure them too much, and by making it a fun and informal activity it will encourage them to go at a suitable pace and build their confidence this way. So keeping it fun is a good start, but what else can you do? Lots of parents will find getting in the water with their children a big help, and this way you can hold them in the water and even show them how to swim by giving them support. You should also be vocal and praising of them too, as they will feel comforted by your voice which will help them to feel safe in the water. As well as this, there is also a brilliant way to encourage them to learn to swim which is similar to how training wheels work on a bike, and this is with some swimming aids. This will include float suits which they wear, and these are designed for complete safety, comfort and warmth in the water. This will allow your child to try out some swimming techniques without fear and with the confidence in knowing that they will stay afloat no matter what, and this is an excellent and proven method of learning. A lot of companies that provide these, like Konfidence, will have float suits for children of all ages as well, so no matter how far along they are they can still learn with these suits. Following the tips above will really instil confidence and security into your child as they are learning to swim, and with your support and the float suits they will soon master the technique and soon be ready to try swimming on their own. Swimming is a fantastic activity for kids and an excellent form of exercise, and this is why it is so important to encourage them to learn. The simplest way for children to learn to swim is to play in the water on a regular basis. They will teach themselves they just need a long enough exposure to the water.